The TDA2002 and TDA2002A are integrated circuit amplifiers specially designed for use in car radios, where the adverse electrical environment places great demands upon the reliability of circuits. The supply voltage may be anywhere between +8 and +18V, and the IC will accept transient voltage peaks of up to 28V without damage. 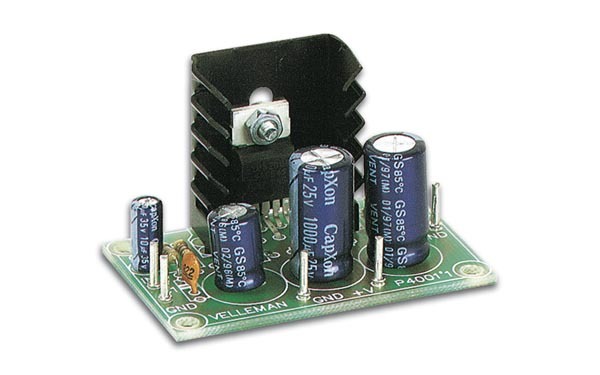 The IC can supply a short-circuit output current of 3.5 A and 15W of power at a case temperature of 90°C. At a supply voltage of 14.4V (fully-chargerd battery ) the maximum output power isat least 4.8W, and typically 5.2W into a 4Ω load. The IC will, in fact, drive load impedances as low as 2Ω, in which case the maximum output power is at least 7W and typically 8W. The above power figugures are all measured at 10% distortion, but obviously at lower output powers the distortion is much less (Typically 0.2% ). In the circuit shown the gain of the amplifier is 100, determined by the radio of R1 and R2. The heatsink for the IC should be 45 sq. cm of 3 mm thick aluminium, or a commercial heatsink of 8°C/W ( or less) thermal resistance may used. Hi increase C4 to 2200uF for 4ohms load, for a better LF response. 1000uF is ok for 8 ohms or higher load. 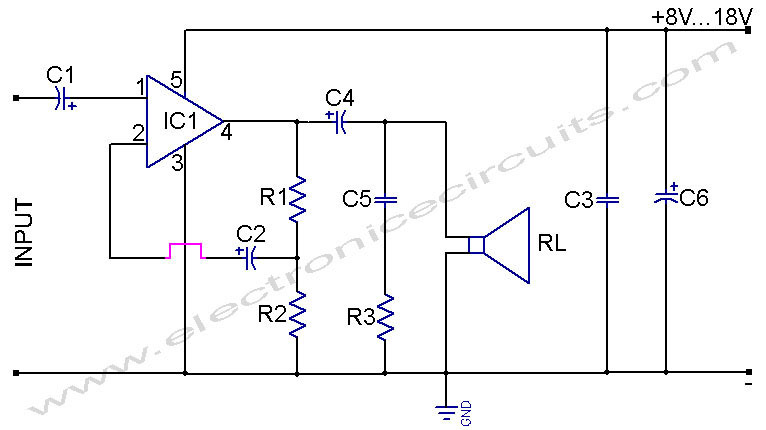 This circuit is the best one rugged with low distortion and clarity. in this 3 resistors how many watts use in this circuit?? How to obtain maximum posible gain for TDA 2002 integrated power audio amplifier? Where should I give input..?? Please give the PCB layout for this circuit.